Bonnie Heidbrak, owner of Intrinsic Vitality, is a Professional Nationally Certified Homeopath, and former Registered Pharmacist. Ms. Heidbrak, a native of Colorado, obtained both a BS in Pharmacy and an MBA from the University of Colorado. 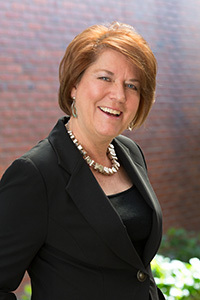 Ms. Heidbrak has over 35 years experience in the Healthcare Industry. Ms. Heidbrak received her primary education and certification in Homeopathy from the Colorado School of Homeopathy, Boulder, Colorado. She completed a 3 year advanced post graduate course at Dynamis School of Homeopathy, London, UK. She studied the Sensation Method at Inner Health, Boston, MA, completing both the Apprenticeship and Mentorship programs. She has received her national CHC accreditation from the Council of Homeopathic Certification. Ms. Heidbrak has also taught mentored and trained students at the Catalyst School of Homeopathy. She continues to study with various homeopaths. At one point in my life I started to suffer from migraines every month. The pain was awful, but I did not want to take prescription drugs for this problem. So I sought out Bonnie’s help. After a few months my migraines were completely gone. I am so thankful for Bonnie’s help. Ms. Heidbrak has also taught mentored and trained students at the Catalyst School of Homeopathy.